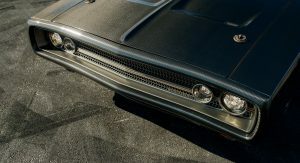 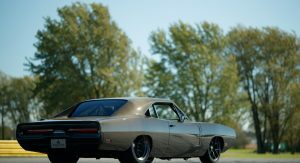 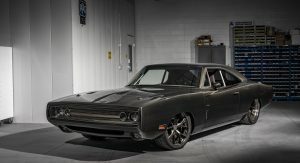 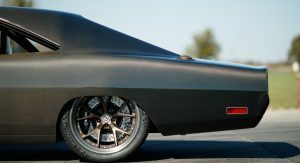 This year’s SEMA Show is hosting a wide range of heavily modified cars, although perhaps few as intricate and at the same time as iconic as this 1970 Charger, whose name evolved from the SpeedKore Dodge Charger ‘Tantrum’, a 1,650 HP classic muscle car. 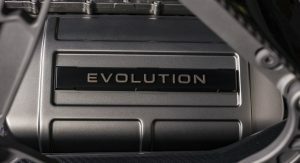 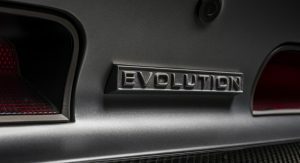 While the ‘Tantrum’ was powered by a massive 9.0-liter Mercury Racing twin turbo engine, the ‘Evolution’ uses a 6.2-liter supercharged Hemi V8, sourced from the modern-day Challenger SRT Demon. 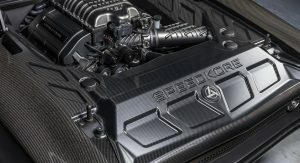 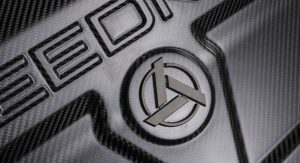 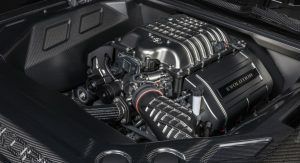 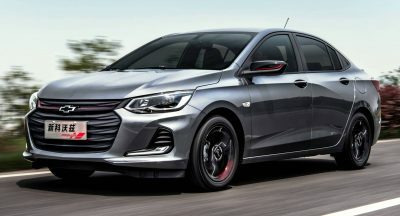 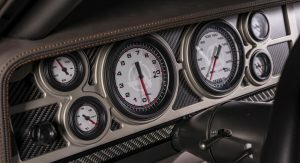 However, that engine has been updated to put down a “dyno-proven 966 HP” at the wheels, giving the car tremendous acceleration while allowing it to remain docile in traffic, stated SpeedKore VP Dave Salvaggio. 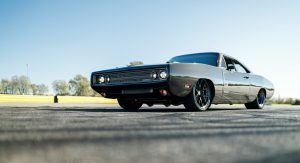 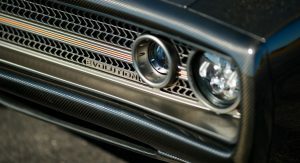 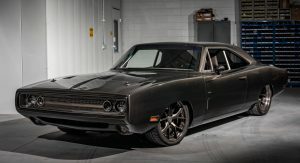 The ‘Evolution’ also happens to be the most advanced 1970 Charger in the world, thanks to a fully carbon fiber body – from its roof to its quarter panels, fenders, doors, trunk and hood. 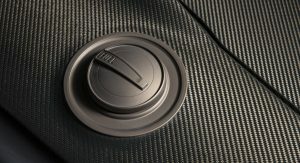 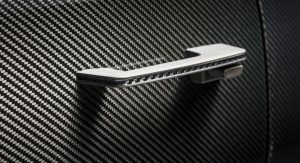 According to its makers, it is more usable than the ‘Tantrum’. 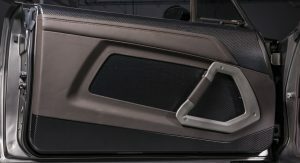 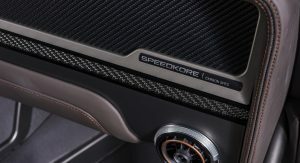 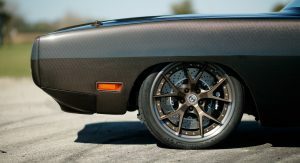 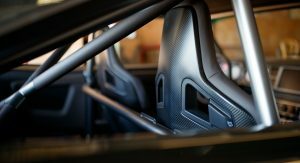 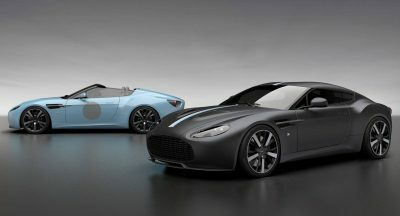 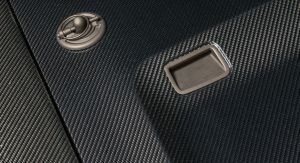 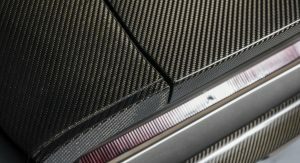 Anything that isn’t carbon fiber on this car, is billet aluminum, such as the door handles, fuel cap and the bespoke grille, all finished in a bronze-nickel coating. 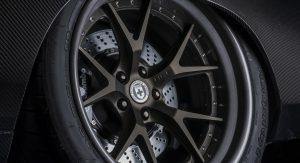 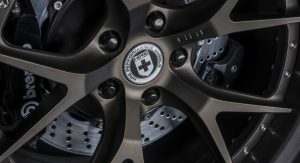 Other exterior features include the 19-inch front / 20-inch rear HRE wheels with Brembo brakes, Penske 7500-series double adjustable coil-overs, and the subtle bronze hue in the carbon fibers. 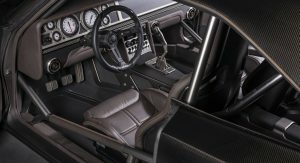 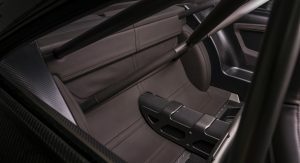 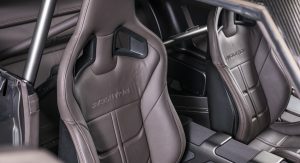 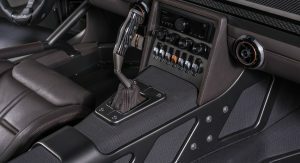 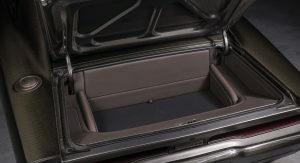 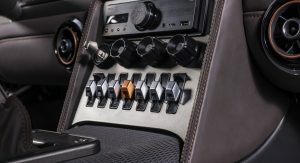 As for the interior, you’ll find a custom dashboard, center console, steering column, shift bezel, pedal assembly, pedal covers and fuel cell, to go with the Cigar leather upholstery and Recaro seats. 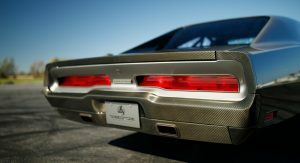 Oh damn this thing is awesome. 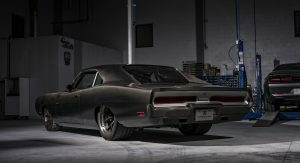 There is cool, then beautiful, then further up is awesome, and more up there is amazing, but on top of them all, there is this charger! 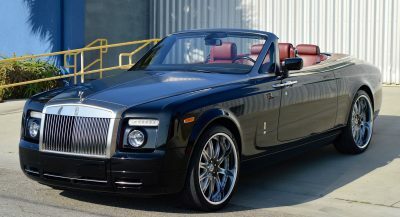 After seeing the SEMA Jettas, this seductive beauty is exactly what I needed to restore my faith in the custom industry. 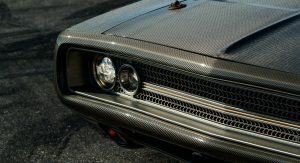 Never thought I will see Charger restomod with carbon fibre. 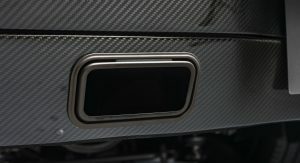 On a sidenote, are those Audi A3 & TT air vents? 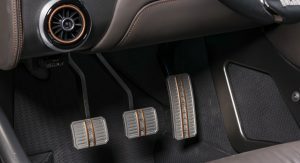 They fit quite nice.